Sisal is still prevalent throughout the Turks and Caicos Islands, these giant agaves dot the landscape, distinctive due to their sword like leaves. The plant is in bloom this time of year; very hard to miss with their towering central stalk branching into a multitude of plush bright yellow Dr Suess like poofs, usually swarming with bees and other flying insects. The booming sisal industry, as documented in the 1892 registry above, no longer thrives in the Turks and Caicos Islands, the East Caicos Plantation abandoned long ago. On my last visit to Middle and North Caicos, Cardinal Arthur told me stories of his boyhood, his memories of the long preparation of sisal before weaving it into rope. I recently approached the middlecaicos Co -Op about commissioning a handwoven rug like this, but sadly none of the artisans currently work with sisal for baskets, hats, or other handcrafted goods. I sincerely hope this once important process does not die with this generation, we must keep the knowledge of Turks and Caicos forefathers and farmers alive! Please visit tcmuseum.org to read a fascinating article on the Rise and Fall of the Sisal Industry. 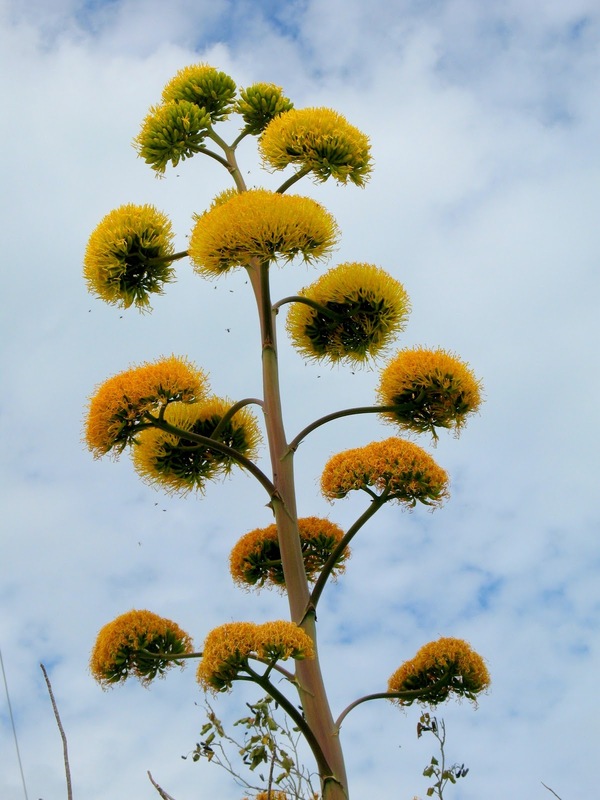 This entry was posted in Agave, Field Guide Friday, Sisal, Turks and Caicos Islands on January 20, 2012 by pepperkeystacie@gmail.com.